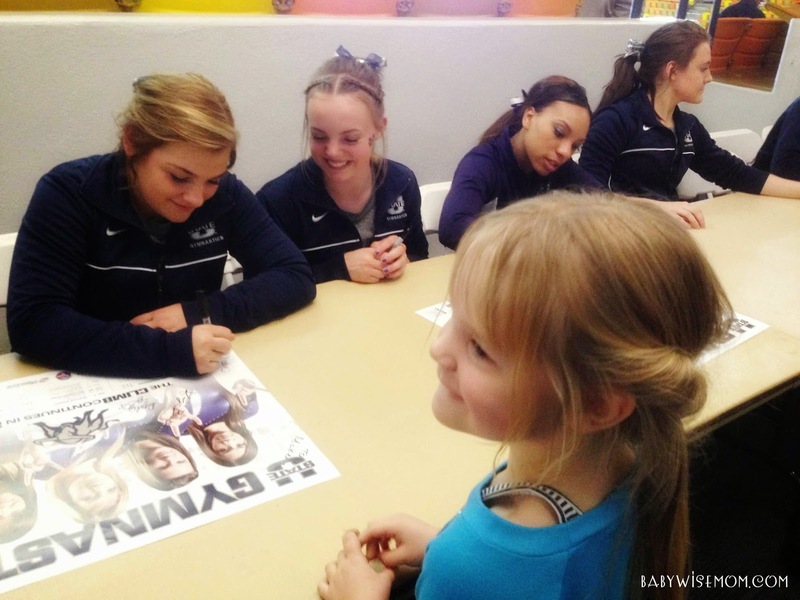 McKenna getting the autographs of the gymnasts at Utah State university. She loved going to see their meet for a date. This is a summary for McKenna from age 5.75-6 years old. McKenna is now 6! McKenna eats well. Her favorite foods are fruits and vegetables. One of her ultimate favorite foods is a pickle. Now, pickles are great and all, but they have zero calories, so it isn’t fantastic for a rapidly growing child. I don’t stop her pickle eating, but I do try to make sure she is getting some foods with calories into her along with those pickles. McKenna sleeps very well. She is my only child who easily falls asleep in the car. She loves sleep. She does not take naps these days, and she rarely even has rest time. She has rest time every Sunday, but that is usually it. McKenna loves to play. Her favorite thing to do when playing is to play dress up. She also is on a big play doh kick right now. McKenna with her favorite character, Veruca. McKenna does swimming lessons, dance, gymnastics, and piano. Her favorite thing to do is gymnastics still. She also loves the mathematical side of piano. She is very good at keeping a steady tempo and counting out her notes correctly. McKenna’s favorite subject is math, to the point that she gets a little OCD about it. She has to add things up constantly. We went bowling last week and she had to make sure the balls were always even on each side of where the balls sit when not in use. So she loves the counting side of piano for sure. 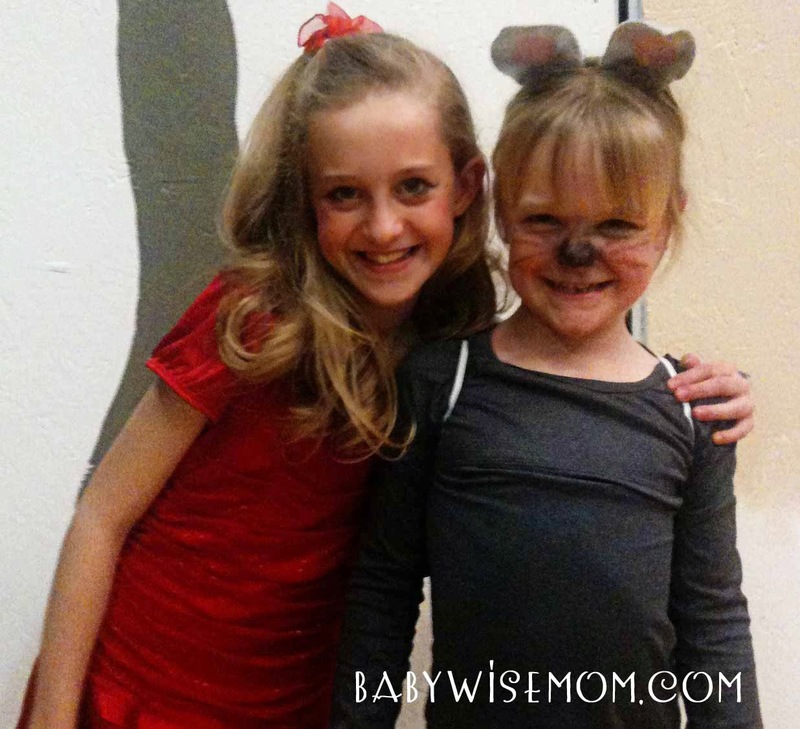 She was also in the musical I directed at the elementary school this winter. She was a squirrel. She loved it. She loved it so much that two weeks after it was over, she started to cry and told me she missed the play. She loves to perform on stage, even as a squirrel who is on a few times. McKenna lost her first two teeth during this time period. She lost her two middle bottom teeth. It is a good thing McKenna is tough because her permanent teeth came in behind her baby teeth. This makes it so the baby teeth just aren’t as naturally wiggly and it takes a lot more pain to get the teeth out. I have never had a child do that before and I hope for McKenna’s sake she doesn’t have all of her teeth like that. Two of McKenna’s greatest qualities are that she is optimistic at all times and she is also very content with life. For example, one day it was snowing on laundry day. She put some shorts on to wear. I asked her if she was sure she wanted to wear shorts with the snow outside. 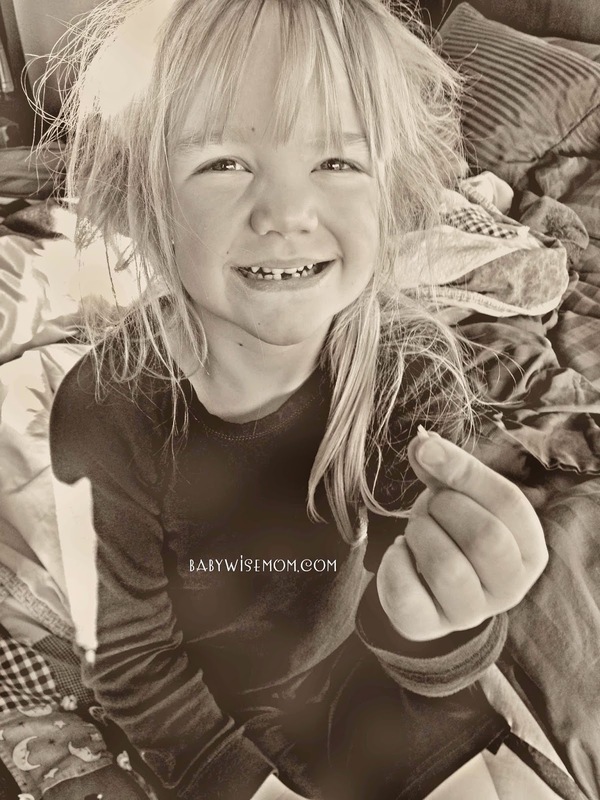 She shrugged and replied, “My pants are all dirty.” I loved that she just took what she had, even though it was far from ideal, and decided it worked. I did have some pants washed and in her hamper, so we were able to get her into some weather-appropriate pants. I have learned an interesting thing about McKenna. She HATES to procrastinate. At this time of year, we get a lot of little projects for her to do for school. Her teacher usually gives us 2-6 weeks to get these things done. One of those projects was given to us during the last two weeks of the play (early March), but was not due until mid-April (so still not due). I just could not take that on during the last two weeks of the play. It really ate at McKenna. She fretted over it and worried about it (it was probably a lot little more work to get her to patiently wait for us to get to it than it would have been to just do it). As soon as the play was over, she got it done and turned in. It is a good quality in life, though. McKenna is still incredibly tenacious. It can be frustrating at times, but I know it can also be a good quality, so I am trying to help her learn to acccept authority even when it goes against her plans without squashing her tenacity. These kinds of things are always tricky because almost everything can be a strength if used the correct way and you don’t want to remove the chance for having that strength in life. These things can also be a vice, however, when applied incorrectly. It is always tricky to know how to help them grow their qualities in a virtuous way. This post contains affiliate links. McKenna has fallen in love with a few chapter book series over the last few months. I told you last time that she loves girly things and that we didn’t have a lot of girly chapter books but that I had gotten her some for Christmas. For her book from us for Christmas, I got her the Fancy Nancy: Nancy Clancy set. Fancy Nancy has a series of chapter books. McKenna LOVES them. Super loves. My in-laws got her the first The Never Girls set for Christmas. We are on our first book in that set, but she is liking it so far. Another perfect series for her is the Whatever After series. We have read the first one, Whatever After #1: Fairest of All. She got a bunch for her birthday, so we will be reading more. They are books where the main character somehow visits back in time to the fairy tales. The first one is Snow White. McKenna loves princesses, so she loved the first book.